1,Cake tray making machine using the manipulator clamp paper, feed, release paper, punching, discharge. 2. 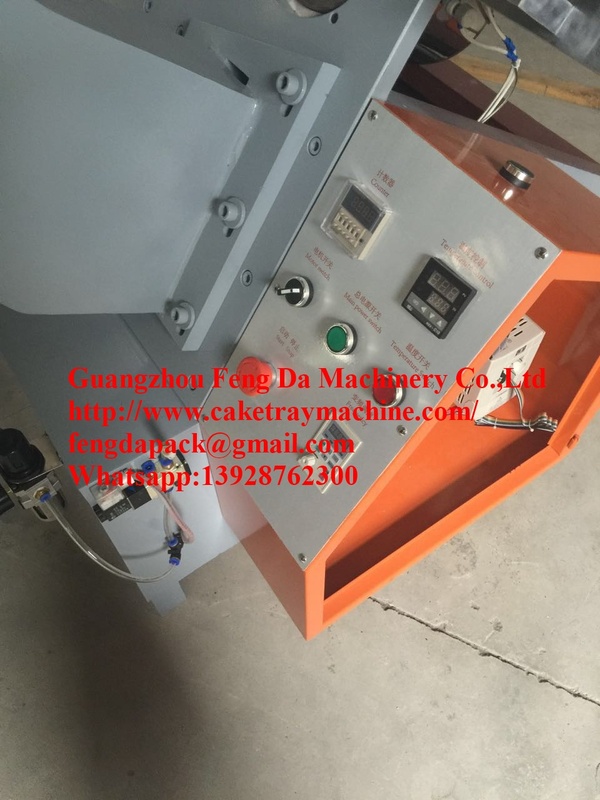 The different models can be done by cake tray machine changing the mold cake tray size. 1. Automatic Cake Tray Forming Machine uses advanced technology, through digestion, from Italy to introduce the integration and self-innovation.It in the domestic and international standards of technology-class level. 2. The introduction of new technologies, such as manipulator scissors pneumatic control files, automatic release paper, punching molding hot and excellent. 3. The cake can be made with different specifications and aluminuim foil tray cake tray through exchange mold. 4. It is characterized by compact structure, easy operation, high efficiency and conventionalstructure, inverter, auto temperature controller, easy to operate, efficient and stable operation. It should be good quality. But another important is the after-sales service. Machine is a machine, so they will have problems, even a small problem. It is difficult for customers to solve all the problems. Our company will provide good service for you. We can help you solve via video, email, phone problems. If necessary, we can also allow our engineers to your country to solve the problem. We hope that all customers will be satisfied with our machines and services.